Fractions in Chinese (fractions ----- 分数 ----- "divided numbers") Fractions might not be heard as frequently as decimals but are still quite commonly used. Same as decimals, whilst you may have two ways to say the fraction 2/3 in English as "two thirds" and "two over three", generally there's only one way to say it in Chinese for daily conversations. (if you want to discuss about mathematics we do have other ways but who will be so mathematical in casual conversations?) In Chinese, the numerator and the denominator are pronounced as integers as usual, the fraction line is read as 分之(fēn zhī) (again its name itself is 分数线 fēn shù xiàn). So, take 2/3 as an example. In Chinese you say it as 三分之二, which is a more logical way to express it as it literally means "take two in three parts". One difference between Chinese and English here is that in English you say the numerator first while in Chinese it's denominator first. The rationale behind is you must decide the total portions into which you divide something before you can ascertain how many portions you've taken. Percentages in Chinese (percentages ----- 百分数 ----- "numbers divided by 100") Percentage has the same difference in ways to pronounce between English and Chinese as fractions. In English we read a percentage by normal reading order, while in Chinese we read the percentage sign first followed by the figure. The percentage sign is read as 百分之(bǎi fēn zhī) (the name of the sign itself is called a 百分号 bǎi fēn hào). So following the rule mentioned, 10% is read as 百分之十(bǎi fēn zhī shí). Make sure you read the sign before the figure. The use of 几(jǐ) This is one of the simplest characters you can find in Chinese so there seems to be no reason to not remember it if you want to study Chinese... Now going back to the main topic, 几 basically means "several" or "a few". It's used to replace any integer between 1 and 10. When it comes to speaking, just add this character in at the digit that needs to be approximated. You can also use 几 alone (with a measure word if required) to express a single-digit number. Let's use some examples to make it clearer. 左右(zuǒ yòu) If there's a top 100 words list in Chinese, this will probably be included. 左 is left and 右 is right. So this word is literally telling you " left or right", which equals to "around/about" in English. Thus "around 500" in English would appear as "500左右" in Chinese. It's used to say a guessed number with slight difference expected from the actual one. To insert it in your sentence is easy: simply guess a random number, and add 左右 after it! Reference books To learn Chinese efficiently, these reference books would be important as they serve as tools to look up information of the language to help explain your questions. I've listed several useful reference books below from which you can choose according to your needs. Xinhua Dictionary, 11th edition（《新华字典》第十一版） Xinhua Dictionary was the very first modern Chinese dictionary published in 1953 and has been edited for 11 times until now. It is the most famous and authoritative dictionary in China. Basically the dictionary includes pronunciation, stroke orders, definitions, example sentences, idioms & slang and commonly-used words for basic characters. One disadvantage is that it is of course all in Chinese, which means it is difficult for a beginner to use. For intermediate and advanced level (or those who can read Chinese without much difficulty), however, it's definitely the best Chinese dictionary for learners. Modern Chinese Dictionary, 7th edition （《现代汉语词典》第七版） Modern Chinese Dictionary is the standard dictionary for junior high school students designated by the education departments and it's the first standard dictionary that includes every single words in Chinese. Compared to Xinhua Dictionary, it mainly focuses on the definition of a character and words including this character. Just like the Oxford Dictionary, you can practically find every word in it, even slang and some common words in dialects! It's also suggested that this dictionary is more suitable for those who have a foundation of Chinese and can read it relatively easily since it's also all in Chinese. Chinese-English Dictionary, 3rd edition （《汉英词典》第三版） Chinese-English Dictionary was compiled under the order of Chairman Mao Zedong in 1971. Its aim is specifically for foreign Chinese learners (especially English speakers) to have an authoritative dictionary. The entries are in English and sometimes with illustration figures to help explain some unique Chinese concepts. Also there's a substantial amount of examples and explanations to help learners understand the words better. Some entries also include a "antonyms" session. And beside common words, frequently-seen specialised words or technical terms are included as well. 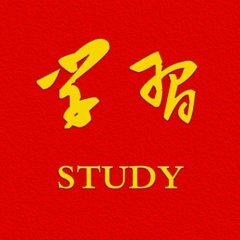 This dictionary is very beginner-friendly for those who have just started Chinese learning. Chengyu Dictionary （《成语大词典》）*Publisher: 商务印书馆 One amazing thing you can learn in Chinese is Chengyu, which is usually four-character idioms that are highly concise in the meaning to express a sometimes rather complex idea. But this is also many learners feel especially difficult for Chinese because they're often closely related to traditional Chinese culture or historical stories, and appear in the form of classical Chinese which is structurally different from modern Chinese. This dictionary is a specific Chengyu dictionary with thousands of entries including definitions, origins, example sentences of Chengyus. And it's also the designated dictionary for junior high school Chinese subject. Apps and websites that help Nowadays there're plenty of apps available for language learning. Here I'd like to recommend some that have a better support for Chinese. Baidu Translate （百度翻译） Baidu Translate is a local Chinese app which is similar to Google Translate but I found that Baidu provides more accurate translations for Chinese. One fantastic feature about it is that it can recognise scripts in pictures, which is useful when you come across a road sign or that sort of things. Youtube There's no need to explain for this. Basically you can find loads of Chinese-tutorial videos on Youtube and some of them are really excellent. Iqiyi （爱奇艺） If you want to watch Chinese TV shows or movies but can't find them, try this Chinese local video website! There're a number of TV programmes in Chinese with subtitles. Similar websites include Tencent （腾讯）, Youku （优酷）and Sohu （搜狐）. One problem though: some of the videos might not be able to open in some countries due to technical issues (sometimes they say there's no copyright but I don't understand why).